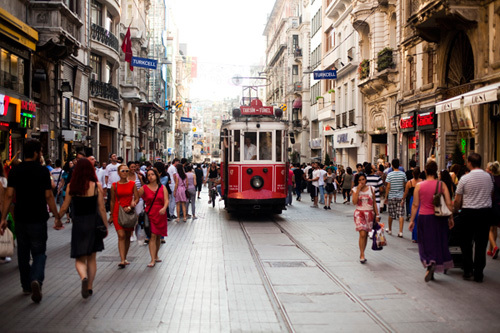 In 2011, Turkey attracted more than 31.5 million foreign tourists, ranking as the 6th most popular tourist destination in the world and the vast majority of those visits were trouble-free. In 2012, two and a half million British Nationals entered Turkey. The Britsh Embassy reported in their newsletter (read newsletter here) that UK Consulate assistance had been provided in the same year to only a "small minority" of those British Nationals, mainly for notary services or replacing lost passports. Turkey’s crime rate remains far lower than most of Europe and North America and I feel far safer walking in the streets in Turkey, even in Istanbul, than in Paris, Rome or London. Delinquency and violent street crime, all too frequently encountered in Western cultures, are infrequently encountered here (although you should take the normal precautions for travel in a foreign country - look after your passport and don't flash wads of money around in public). As in any country, avoid all political gatherings, protests and demonstrations, as even those intended to be peaceful have the potential to turn violent. Above all, Turkey is renowned for its hospitality which is an ancient tradition - this is genuine and widespread. You will be invited to drink endless glasses of tea or sometimes to share a meal. Turkish people are friendly, curious and generally go out of their way to help or offer advice - even when you haven't asked for it! 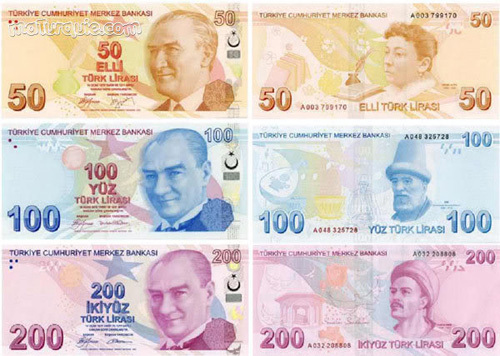 The currency in Turkey is the Turkish Lira (TL). 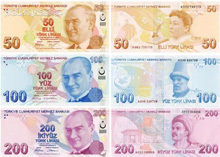 Rates for foreign currency are always better in Turkey so don't bother buying TL at home before you leave. Travellers' cheques are not worth the bother and are expensive. There is a widespread network of ATM machines in Turkey even in surprisingly small places and hard currency (euros or dollars) are also accepted for payments in cash. Check with your bank and/or credit card company before you leave home as to what is your daily withdrawal or spending limit on your card. 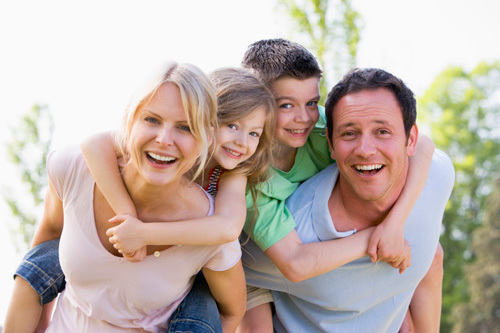 Turkish people adore children and travelling with your children in Turkey will be a relaxing and pleasant experience as Turkish people rush to give you red-carpet treatment. Baby cots or extra beds in hotels are always available and you don't have to go far to find a child-friendly restaurant - they all are! Turkey is working hard to develop facilities accessible to those with reduced mobility. The project to improve access to Mount Nemrut is one example. Another is the increasing number of hotels offering rooms and facilities specially adapted to disabled travellers. Unfortunately there is still a lot of work to be done to increase awareness of handicapped people's needs; the wheelchair ramps installed by some municipalities would be better suited to skateboarders than those in a wheelchair, and pavements in Turkey are notoriously badly-maintained. 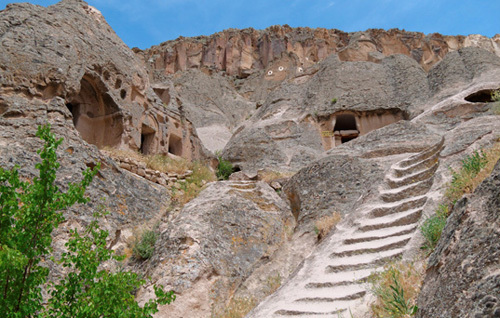 The terrain in Cappadocia is mountainous which does make any accessibility projects even more complicated and most hotels have steep steps to climb. Having said that, Turkish people are champion at adapting to different situations and will go out of their way to help anyone in difficulty. 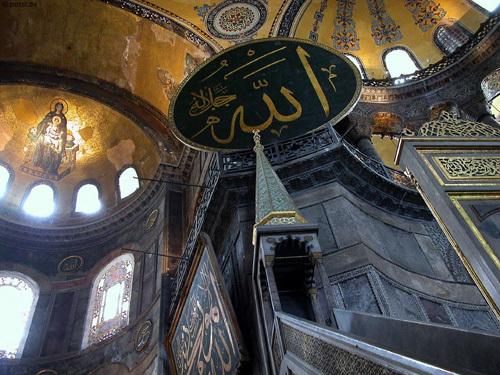 Turkey is a secular state with no official state religion. Since 1923 it is a secular republic, although the majority of the population is nominally Muslim. The moderate Turkish Islamic culture is to be seen in the tolerance of the people - for example during the month of Ramazan you will have little problem finding a restaurant or bar open except in outlying rural areas. This is not a Middle Eastern country and Turks and tourists mingle freely in bars and restaurants serving alcohol. The Turkish Republic was created by Mustafa Kemal - known as Atatürk - an amazing man who introduced a broad span of ambitious and swift reforms to create what is modern Turkey today. For example the right to vote for women was introduced in Turkey many years before most Western European countries. Atatürk died in 1938 but is still revered today throughout Turkey - you will see his photo in shops, hotels, businesses - irreverent remarks about Atatürk or the Turkish flag are not appreciated. 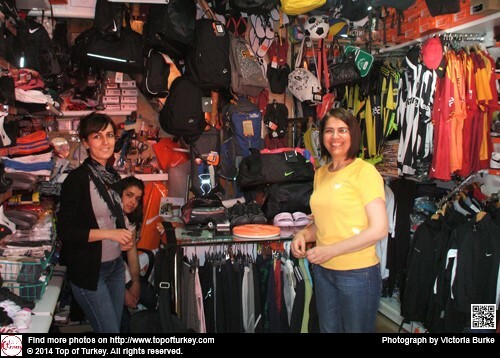 Turkey is a wonderfully heterogeneous country - dress code varies in different areas of the country but often you will see women wearing the traditional Islamic headscarf walking arm in arm with their friends who are dressed in smart casual European style. In coastal tourist areas you will see all sorts of dress styles but we advise you to confine the wearing of beachwear to the beach. As in most European countries, walking around shirtless in public is considered vulgar and offensive. If you are planning to visit mosques, pack a scarf or shawl to cover your head and men and women alike should avoid wearing shorts out of respect for religion. Think about the weather too - in summer, Cappadocian nights can be cold and you might want to take a light sweater or fleece. Stout shoes are a must if you want to go walking. In Turkey like most of Europe we drive on the right. 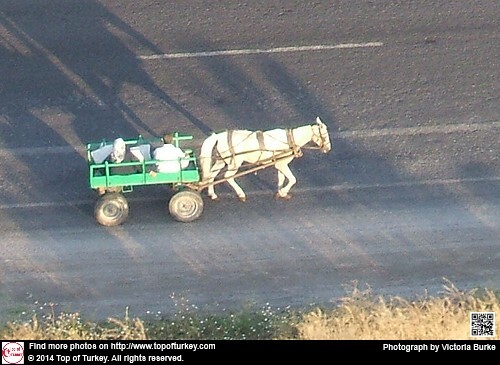 The Turkish infrastructure is excellent but Turkish drivers are not very disciplined and in rural areas you will share the road with tractors, donkeys and herds of sheep. Driving in Istanbul can be as scary as driving in Paris! As everywhere drive carefully and stop regularly - motorway facilities are widespread and first-class. Electricity throughout Turkey is 220 volts AC (50 Hz). A two pin round pin plug is used and the sockets have two rounded holes. In case you need 110-120 V, it is recommended to take your voltage converter with you. If you are traveling with electrical or electronic devices be sure to bring a two pin continental adapter with you. Outside of major cities, power cuts can be frequent and streets badly-lit, so you might want to think about bringing a pocket torch. If you have a roaming facility on your cell phone, your home mobile will connect with one of the local network providers in Turkey. US mobiles will need tri-band or quad-band facilities activated and may not funtion if the service provider does not have an international roaming agreement. Either way, the charges of using your home phone in Turkey are astronomical. A cheaper solution is to buy a SIM card from a Turkish telephone company and purchase a base package which you can top up as you need. 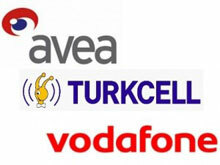 Turkcell is the company the most represented in Turkey and has the broadest coverage but you will also find Avea or Vodaphone stores, even in small rural backwaters. Your phone needs to unlocked to use a Turkish SIM card, it is cheaper to have that done before you leave your home country. Warning: In order to curb importation of cheap mobile phones from outside of Turkey, the government has been increasing restrictions on the use of foreign cell phones. Theoretically your foreign cellphone should work with a Turkish SIM card for up to 30 days after entering Turkey, after which time your phone will be blocked. In practice there have been reports of tourists having their phones blocked well before the cut-off date. So if you have the intention of spending more than a couple of weeks in Turkey, you will need to register your phone. Note the IMEI number of your handset, go to the nearest tax office and pay the tax (138.80 TL as of winter 2016/17), then take the tax receipt and your passport to your telephone operator outlet. There, they will register the handset in your name; you can only register one telephone every 2 years. Turkey is a secular republic and most of the public holidays are not of a religious nature. These holidays are on the same dates every year. Official holiday. Banks, Post Offices and administrations will be closed. 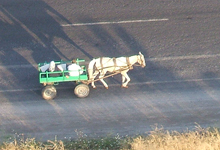 Yilbası in Turkish. Official holiday. Banks, post offices and administrations will be closed. Ulusal Egemenlik ve Çocuk Bayramı in Turkish. Commemoration of the first opening of the Grand National Assembly of Turkey at Ankara in 1920. The founder of the Turkish Republic, Mustafa Kemal Atatürk, dedicated 23 April to the children of Turkey to recognise that children are the future of the nation..
Official holiday. Banks, post offices and administrations will be closed. Gençlik ve Spor Bayramı in Turkish. Commemoration of the beginning of national liberation movement initiated in 1919 by Atatürk's landing in Samsun. Dedicated to the youth. 19th May is also the official birthday of Mustafa Kemal Atatürk. Official holiday. Banks, post offices and administrations will be closed. Zafer Bayramı in Turkish. Commemoration of the victory at the final battle in Dumlupınar ending the Turkish Independence War in 1922. Dedicated to the armed forces. Lots of parades and flags. Official holiday. Banks, post offices and administrations will be closed. Cumhuriyet Bayramı in Turkish. Commemoration of the proclamation of the Turkish Republic in 1923. Ceremonies, speeches, parades and lots of flags. In addition to the secular public holidays, there are two religious holidays which are also official holidays, Şeker Bayramı , at the end of Ramazan and Kurban Bayramı . The dates of these holidays shift forward every year by 11 days according to the Islamic calendar. Here are the dates for 2019, with an explanation of what changes for you if you are travelling in Turkey. Half-day holiday ( arife ) 4th May followed by a 3-day holiday on 5th, 6th, 7th May 2019. Official holiday. Banks, post offices and administrations will be closed. The 30-day Islamic holy month of Ramazan (called Ramadan in other countries) is a time of fasting, prayer and celebration. However you will see that as Turkey is a secular Republic this Islamic holiday is celebrated very differently from in Islamic countries. Although strict observance of the Koranic law means fasting from dawn to dusk (no eating, drinking or smoking between these hours) not all Muslims will observe Ramazan (only an estimated 30% of the population will observe Ramazan every year). The idea behind the Ramazan fasting is to remind observers that some people are hungry all year round. So some people prefer to give to a charity rather than fasting. The holy month has a limited impact on daily life in most towns certainly in a region like Cappadocia. Non-Muslims are not expected to fast although it is polite not to eat or smoke in front of someone who is fasting. Ramazan: What does it change for you? In Cappadocia or Istanbul you will have no problem for finding a restaurant or café open. Some workplaces and offices may adapt their opening hours so it is best to check before you travel (the dates change by 11 days every year). Those spending all day without eating drinking or without a cigarette can tend to be tetchy or a little irritable (which is normally out of character in Cappadocia).. The day ends with a big feast every evening called iftar where mounds of food make up for the fasting during the day! (Some people actually manage to put weight on during Ramazan!). Be particularly wary while driving after sunset as observers race to get home for the big meal! In the middle of the night drummers circulate through towns and villages to wake sleepers so they can prepare the big early-morning meal before the fast begins again at sunrise. They tend to make their noise around 03:30 and 04:00 am, and they make sure everyone hears them. Make sure you bring earplugs with you! Although the month of Ramazan is not a public holiday it is immediately followed by the three-day national holiday of Ramazan Bayrami (also called Şeker Bayramı or Sugar Festival). As with all holidays this is a time to put aside any disputes and problems you may have with family or others. During Şeker Bayramı large quantities sweets are eaten and offered and the younger members visit the older members of the family. In recent years, for many, Bayrams have become nothing more than a chance for a vacation, rather than maintaining any real religious significance. Here the country does slow down and places close as Turkish people celebrate one of the main holidays in the year. Make sure you have accommodation booked; hotels will fill up quickly as relatives travel to spend the holiday with their family (think of it like Thanksgiving or Christmas). Typically shops are closed on the first day of the festival, but they open up again on the second day. Museums, archaeological sites and similar visitor sights close for the first full day of the holiday, but are usually open on the second and third days, and may be particularly busy with visitors. Transport may be on holiday (Sunday) schedules, at least for the first day of the holiday. Transport services may be particularly busy as people travel for vacation, so reserve your seats in advance. Half-day holiday ( arife ) 10th August followed by a 4-day holiday on 11th, 12th, 13th and 14th August Official holiday. Banks, post offices and administrations will be closed. Kurban Bayramı is one of the most important religious holidays in the Islamic calendar. It commemorates Abraham's near sacrifice of his son to God who sent a ram to be sacrificed instead. For the first day of the holiday, every devout household who can afford it buys a ram or a calf to be sacrificed. It is compulsory by law now to have the sacrifice done at the abattoir but some families still do it in their gardens or on their farms. The owners of these animals sacrifice them according to appropriate Muslim traditions with the assistance of a butcher on the morning of Kurban Bayramı . In accordance with Muslim traditions one third of the meat should immediately be cooked at home by the owner of the animal, one third of the meat should be distributed among the poor and the last one third should distributed among neighbours and relatives. For poorer people, this may be the only time of the year that they get to eat meat. Hotels fill up very quickly and prices soar so be sure to reserve accommodation in advance. Also ATM machines will empty quickly so if you need cash, remember to take it out before the beginning of the holiday because the ATMs will not be replenished during the Bayram holiday. Transport services may be particularly busy as people travel to be with family or to take advantage of the extended holiday, so reserve your seats in advance.